Domino has helped business-savvy leaders achieve critical outcomes for years — it has always been a leader in application development, business transformation, and automation. Version 10 is here to make Domino a dramatically more productive and modern platform, unleashing even more business value. Domino developers can request early access to IBM Domino Mobile Apps, making their trusted, proven Domino apps accessible from an Apple iPad. 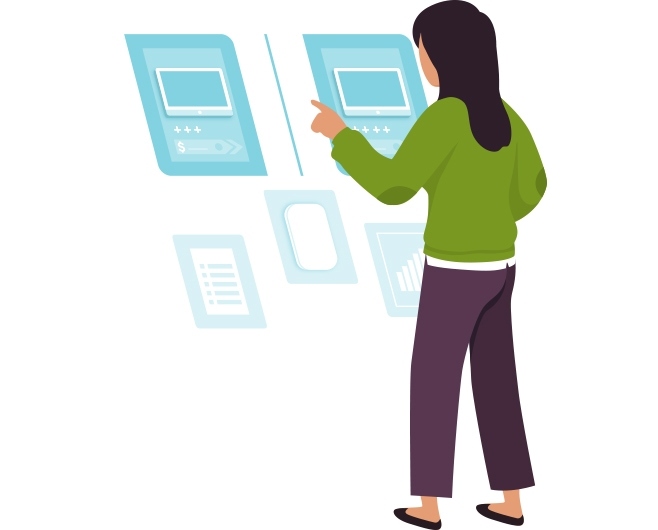 Domino also replicates data between the server and local version of your applications, so your team can be productive even without network connectivity. application — bring in Google maps, pull in a Watson API, or even use customer data from Salesforce. Domino is more open than ever before. Domino V10 now supports CentOS, which can be used to create Docker Domino containers that are 100% compatible with Red Hat Linux. Users will now enjoy continuous deployment and testing, environmental standardization, version control, and the strong default isolation capabilities. data. Domino has security is built into the core. 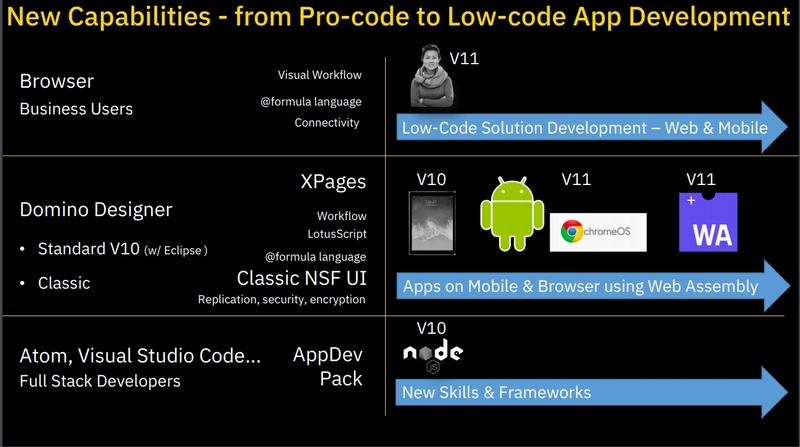 Now, with V10, it has more stability and availability than ever. Move your Domino workflow and applications to the IBM Cloud. With IBM Domino Applications on Cloud, you gain access not only to a full stack of IBM Cloud security services, but also to an IBM security team supporting more than 12,000 customers in 133 countries. Domino users will have a faster startup time (less than four seconds) and with optional feature installations each user can optimize their experience and client workload to suit their needs. Primaxis is ideally placed to assist your organisation as we are a Business Partner of both HCL (currently the only BP in Australia) and a Business Partner of IBM. We can find the best solution for licensing needs, support, future directions and strategies including migrating off Domino applications and mail. JOPUL is the Primaxis solution for quickly moving data out of Domino applications into a web-based application. 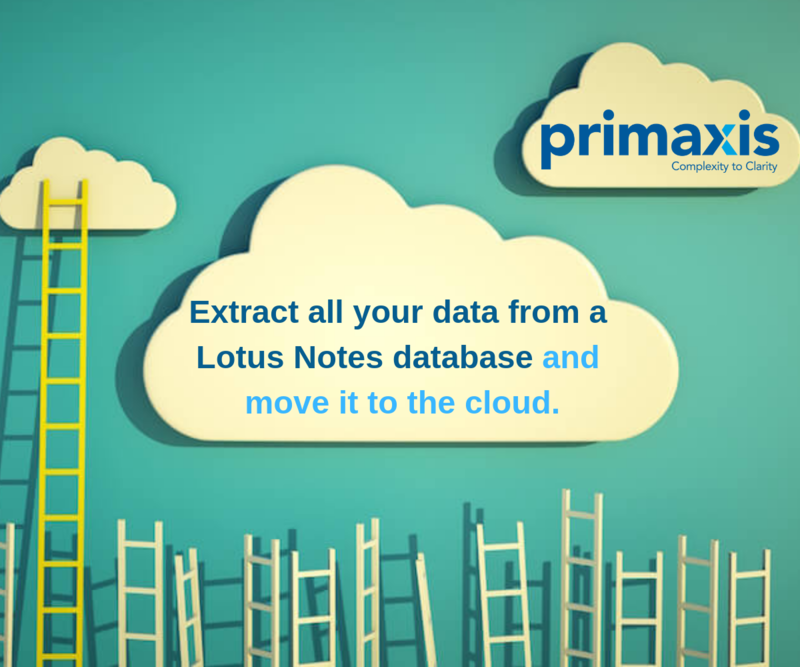 Extract all your all data from a Lotus Notes database and move it to the cloud. Primaxis assessment reports help you monitors all activity on your Domino servers to measure which applications are in use, great if considering migrating off Domino or considering the value of upgrading. Start saving today with Primaxis Domino licensing assessment which helps you optimise your licensing model. The usual methodology for migrating an application involves an expensive process of analysing application functionality then building a new application in the target environment. This can be a time-consuming process with a high amount of consultant engagement and long delivery time frames. We have chosen to adopt a different methodology to what most products in the market offer when it comes to migrating off Domino/Notes. Rather than spend time and effort in analysing Notes/Domino application functionality and design, we have focused our efforts on moving just the data out Lotus Notes including the ever tricky rich text and attachments. HCL Advisor is an amazing product that quietly monitors all activity on your Domino servers to measure which applications are in use, great if considering migrating off Domino or considering the value of upgrading. Analysis report which will give a concise overview of your Domino environment and recommendations. 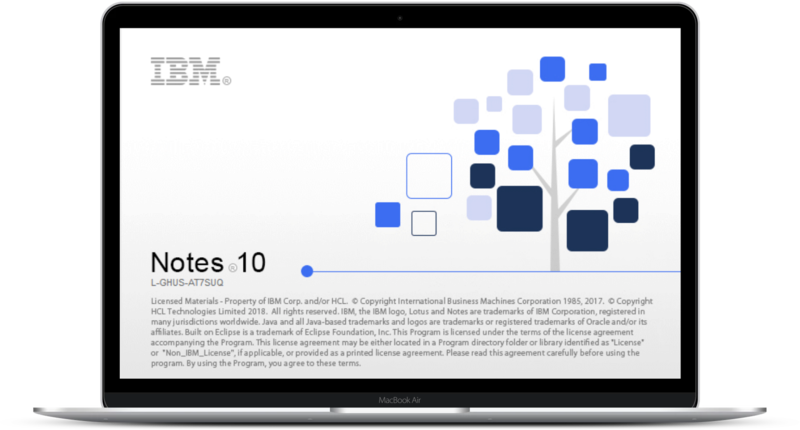 IBM® Notes® and IBM Domino® offerings deliver enterprise−grade collaboration capabilities, across a wide range of uses and applications. 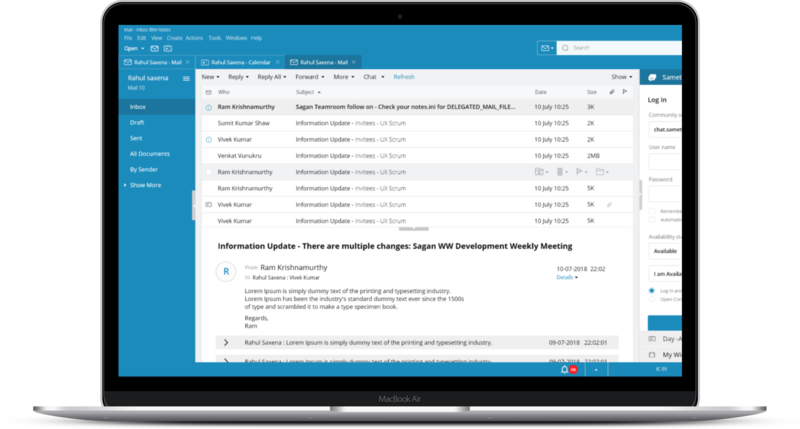 It can be deployed as core e−mail and enterprise scheduling infrastructure, as a custom application platform, or both. This extensive breadth of uses also creates a wide array of deployment scenarios. The IBM Notes and Domino licensing model supports all of these scenarios, in ways that make it easy to acquire and deploy. 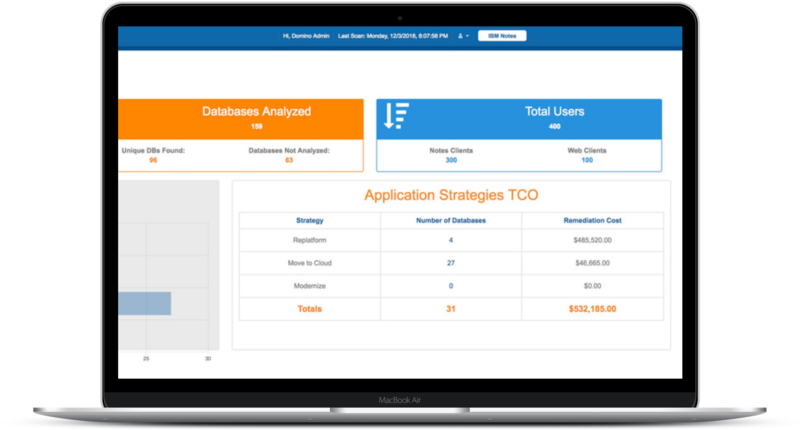 Experience the next era of rapid application development with IBM Domino. "“Primaxis resolve problems efficiently and professionally. Excellent solutions and fantastic communication." Looking for a way to migrate applications from your legacy Domino environment? Talk to our experts at Primaxis about your Notes/Domino needs.